The federal DACA program, enacted in 2012, has helped thousands of undocumented students pursue their dreams of a college education by protecting them from deportation. 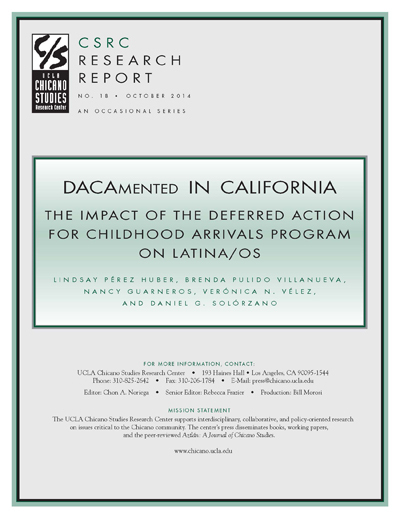 The authors assess the impact of the program for Latina/os in California. This CSRC Research Report was prepared in conjunction with the CSRC's ninth annual Latina/o Education Summit.